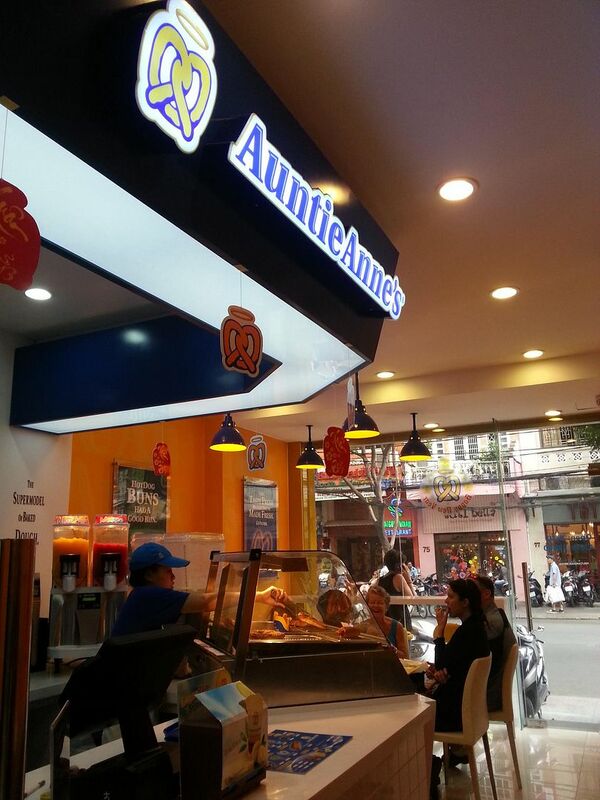 Making their quiet debut into the Ho Chi Minh City franchise food scene is Auntie Anne’s Pretzels. Auntie Anne’s opened last February 5 — a few days after the much anticipated opening of Starbucks. 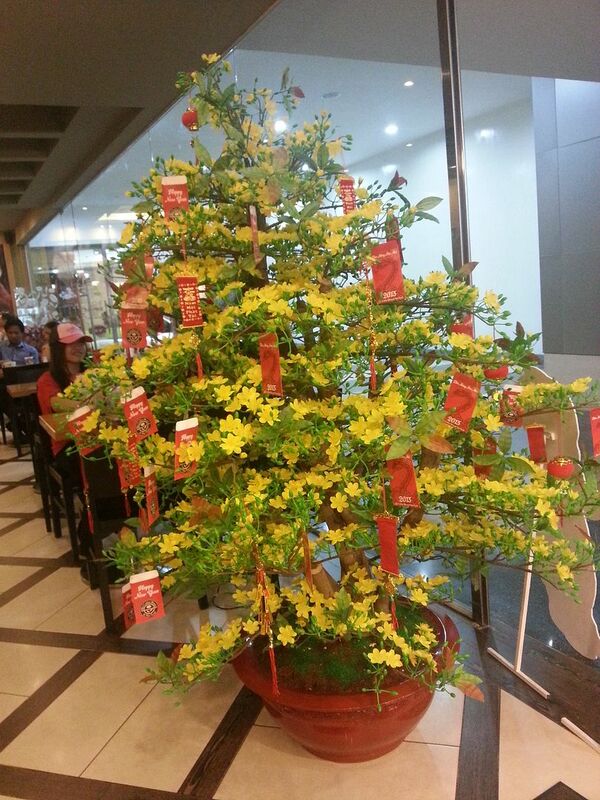 There was no fuss nor buzz with another foreign-owned franchise opening up their first store in Ho Chi Minh City. I guess Auntie Anne’s is an unknown next to Starbucks. 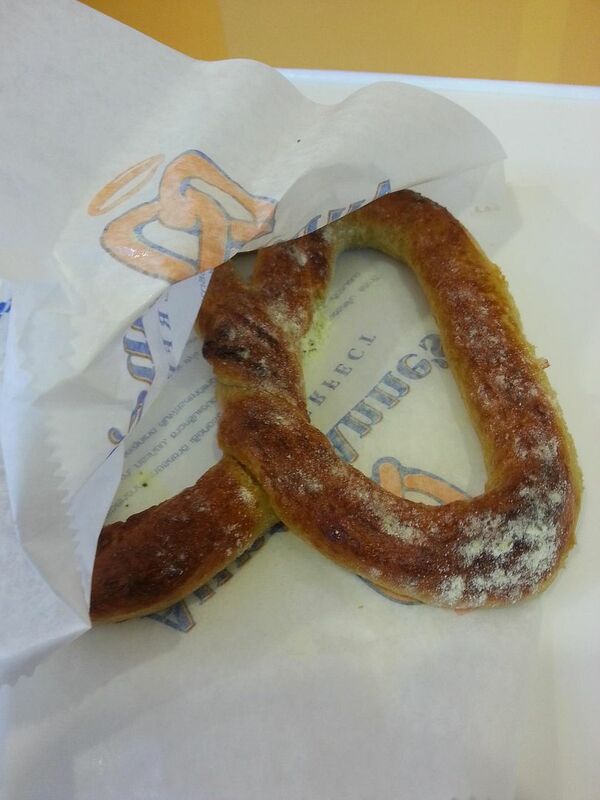 Auntie Anne’s occupies just one floor of a building along the very busy Mac Thi Buoi St. (across Sun Wah). 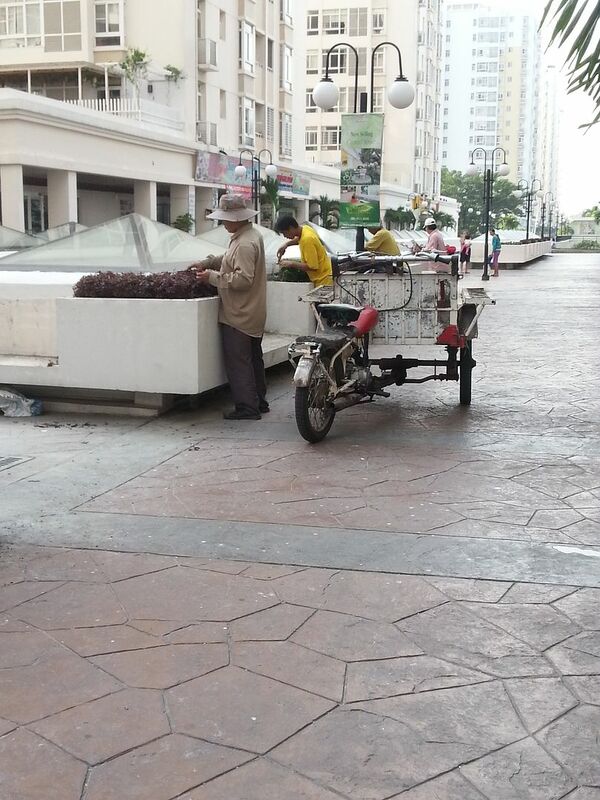 It’s really more for take out as there are only a few tables and the place is quite small. What I like about the TET season is that, not only do we get lots of free time to go on a vacation but Vietnam suddenly breaks out into color. It’s also the time you’ll see that buildings get a face lift and a washing or like in our apartment complex, the parks suddenly have flowers. LOL. 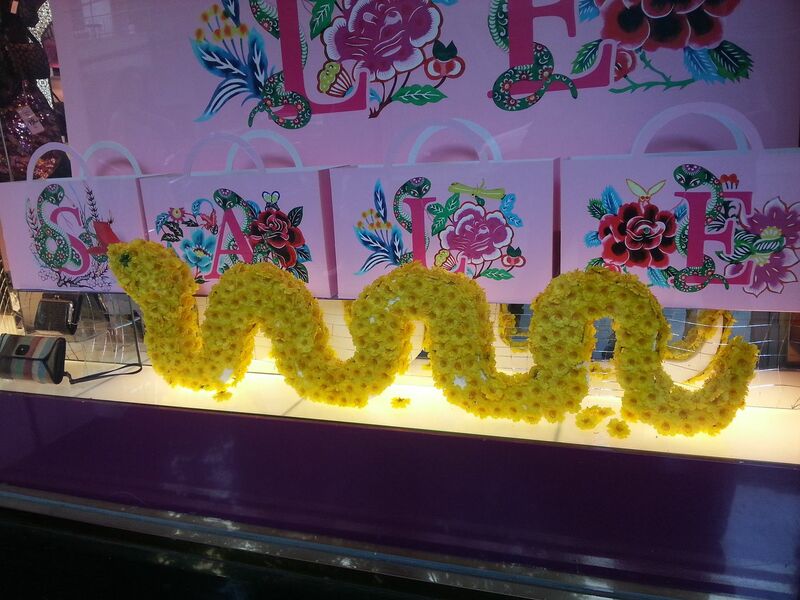 And since it’s the year of the Snake, lots of shops have incorporated “the snake” into their window displays. 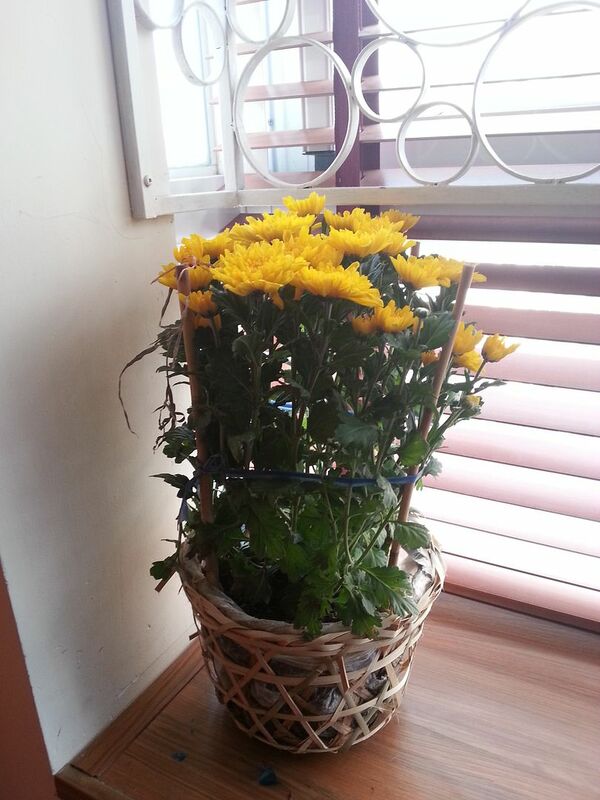 At home, we don’t really celebrate TET but Bay has been gracious to bring in some yellow flowers to light up the apartment. 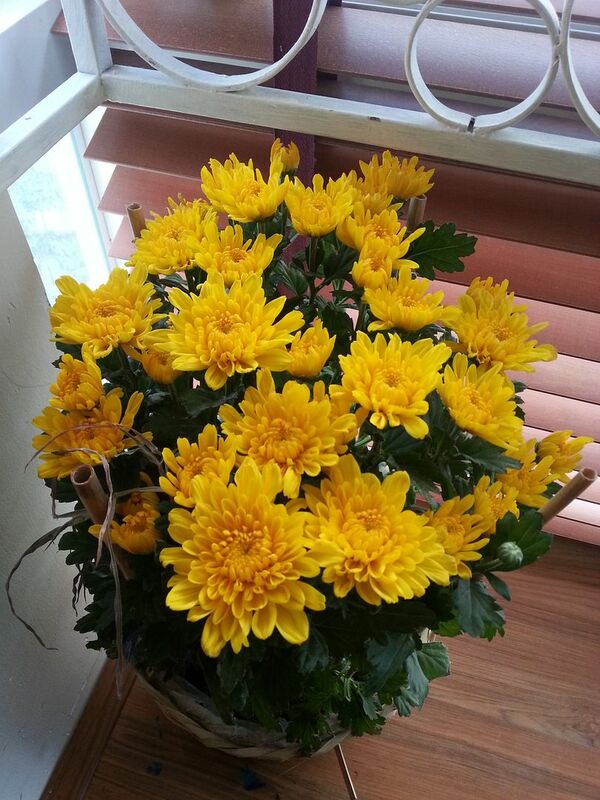 Bay is also making yellow flowers out of stockings to make our home a little more TET-tish. And I can’t wait how that will turn out.